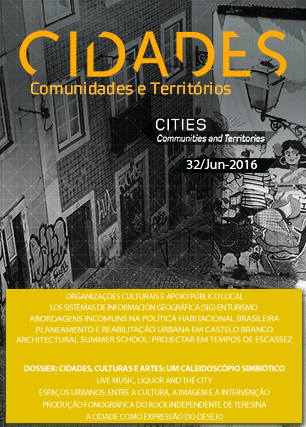 Cultural organizations and local public support: Which territories and challenges? This article presents some findings of an ongoing research on cultural organizations with public support, namely the tripartite agreements granted by DGArtes-SEC. These agreements result from collaboration between the central state, the municipalities and the local cultural structures. We analyse this category of public funding taking into account the cultural work of the organizations, the trajectories of its professionals and their connections with the territory. We describe what these organizations do, their new missions, and the effects and challenges underlying this category of support to arts. We ultimately present a typology of cultural projects in the Portuguese inter-municipal and metropolitan areas, an illustrative case study and its discussion around the collective and individual logics, and how they are mixed, reinforced and feed in the scenario of local state support.